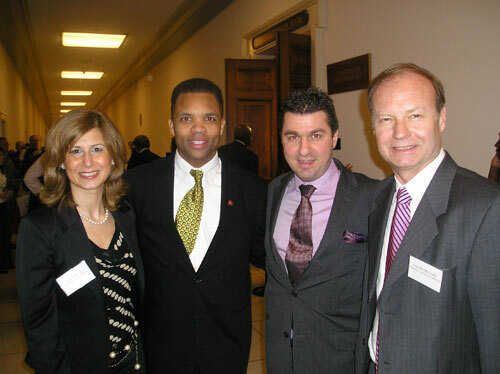 The Congressional Caucus on Turkey and TCA organized a meeting with visiting members of the Turkish Grand National Assembly and members of Congress on Capitol Hill. 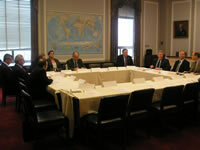 The delegation consisted of Egemen Bağış, Chairman of the Turkey-US Parliamentarian Friendship Group, Vahit Erdem, Chairman of Turkish Parliamentarian Delegation to NATO, Reha Denemeç, Vice Chairman of the Justice and Development Party, Ömer Çelik, Chief Political Advisor to the Prime Minister, Bihlun Tamaylıgil, Deputy General Secretary of Republican People's Party, Ersin Arıoğlu, Member of the European Union Compliance Commission, Mustafa Remzi Bozkurt, Grand National Assembly Foreign Affiars and Protocol Official. 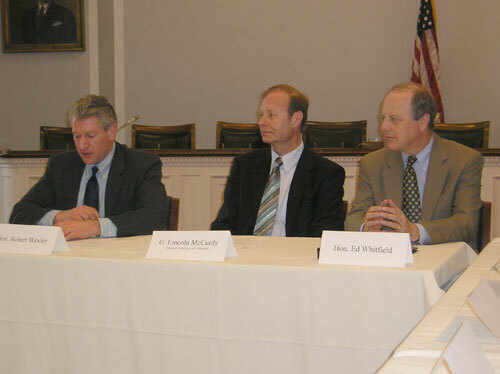 Six members of Congress attended the event where topical issues related to US-Turkish relations were discussed.